To be successful as a digital nomad, you need to be available when clients need you and this requires that your equipment is in full working order and that your travel arrangements go to plan. Travel insurance is essential for digital nomads to make sure things go smoothly even when you get some setbacks. Researching what travel policy to choose can be time-consuming and frustrating, because it may not always be possible to compare like with like. One policy may have different features compared to another one at a similar price. Some bank accounts come with travel insurance included (packaged bank accounts). While this is very convenient, make sure that the travel insurance policy is suitable for your needs: does it cover long international trips? Does it cover your valuables too? This type of insurance can be very basic; same thing applies to home contents insurance, which could cover some items but it may be unsuitable for long travel. A comprehensive travel insurance package should meet most of a digital nomad’s needs. However, it is also worth looking at specialist insurance policies, particularly those that provide medical cover for long-term travel. Annual travel insurance may tick many boxes for a digital nomad, but you need to ensure there is no upper limit to the number of days allowed to travel abroad and how many trips are included. Annual policies may cover up to 180 days. 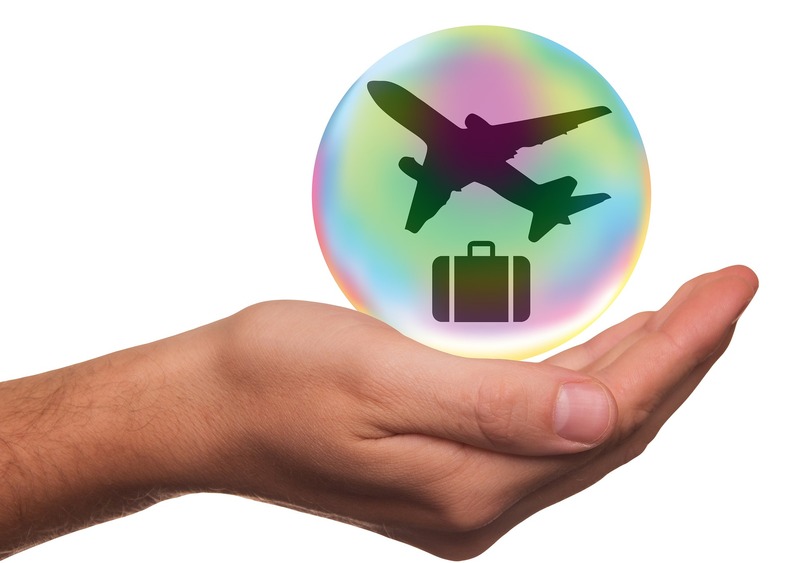 A multi-trip travel insurance policy may be more suitable in some cases. Check whether you need to notify the insurer each time you go to a new destination. Long-stay insurance may be a good option if you are planning to travel for up 18 months. The insurer may request that you contact them each time you move to a different country to adjust the premium, as each country might have a higher or lower risk. If you have a family, make sure that the policy covers all members of the family: some policies may only include, for example, two children under 18. If you have only one child, taking up separate policies (for example, couple and child) might be cheaper. Activities such as outdoor pursuits like horse riding and winter sports like skiing may require specialist insurance. You will also need to notify the insurer for any unplanned activities, as they may not be covered. Check what is excluded in the policy. Most policies have a fairly low cover for equipment and excess can be very expensive. The limit of how much you can claim can be low, so don’t base your decision entirely on which is the cheapest insurance available. A good policy should always have 24×7 worldwide assistance. Are you planning to practise any sports and outdoor activities? There should be a basic cover for these but don’t assume they are included. Separate medical insurance is advisable, as travel insurance may not be sufficient to cover costs. However, if you are planning to travel exclusively within the European Union, European Economic Area, Switzerland and you are a EU citizen, the EHIC (European Health Insurance Card) allows free cover for EU, EEA and Swiss citizens. The EHIC gives you access to public healthcare either for free or at a fraction of the cost. The card is free and is valid for up to five years (depending on country of origin). If you make a living with photography, should you invest in professional insurance for your camera equipment? Professional insurance should cover both Public Liability and Professional Indemnity, meaning that damages to both things and people will be covered. A good policy should provide a camera replacement when yours need repairing. Even after you are happy with all the features and the price of a travel insurance policy, just before you hit the “buy” button, have a look at the online reviews for the insurer. You might be surprised that an insurance deal that initially seemed good value at first sight may have its shortcomings. Look also at digital nomads forums, for example Reddit https://www.reddit.com/r/digitalnomad/ where you can learn about how other digital nomads chose insurance policies and any feedback they may have on them. Consumer websites like Which? advise to research different providers and not get tempted to choose insurers who are new to the market or a policy recommended by a travel agent, as they may not always offer good value for money.